Himalayan Institute of Technology was established at an auspicious moment in the year 1996. Since then the HIT Group has grown impressively and achieved exemplary recognition from corporate, academia, and professional circles. This was possible only because of its focus and commitment on a strong value system. 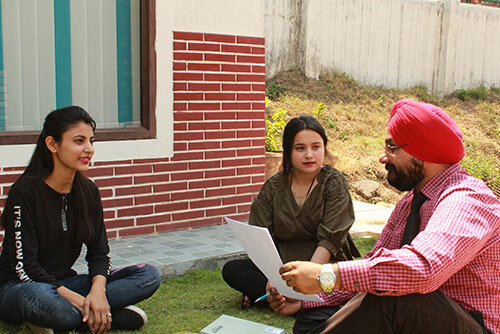 With facilities that are geared towards the holistic growth of the students, HIT empowers its students with real knowledge that is demanded by the corporate world. Today, HIT Group has established and patronized 3 prestigious Educational Institutions, which have grown to the stature of being accredited with ISO 9001:2000 certification by the International Certification Services. In establishing HIT, founder members envisioned that HIT would not be a single location Educational Institute only, but a network of several Educational Institute campuses that would provide Quality Education in different parts. As a result HIT Group is running following 3 Educational Institutes in 3 Different campuses. 1st institute - 1st Institute is located at Haridwar Road, Dehradun. It is one of the first non-aided Institutes in Uttarakhand, which has emerged as one of the finest institutes in the country. At HIT, we believe in all round development of students with strong foundation based on pillars of knowledge, intellect and values. 2nd Institute - 2nd Institute is located in the heart of city, Dehradun. What makes it different is, its emphasis on industry relevant and comprehensive education provided to students in a scholarly and focused academic environment. 3rd institute - 3rd Institute is located at Raipur, Dehradun. with a vision to provide Industry Recognized courses to all the students who wish to become professionals in their respective fields. HIT Group of Institutions attracts students from all parts of the country which is testimony to our experience and excellence in the field of professional studies. HIT Group is offering a wide range of courses pertaining to different fields of studies. HIT Group of Institutions has attained a highly respectable position amongst the best professional educational institutions in India.